Definition at line 3317 of file commctrl.h. Definition at line 3326 of file commctrl.h. Referenced by TREEVIEW_DoSetItemT(), and TREEVIEW_GetItemT(). Definition at line 3323 of file commctrl.h. Referenced by FindDialogWndProc(), BtrfsDeviceAdd::populate_device_tree(), Tree_Item_Copy(), TREEVIEW_GetItemT(), TreeView_SetBOOLCheck(), and WriteIniFile(). Definition at line 3319 of file commctrl.h. Referenced by FindDialogWndProc(), GetSelectedFilter(), InsertItem(), Tree_Item_Copy(), TREEVIEW_GetItemT(), TreeView_SetBOOLCheck(), TREEVIEW_SetItemT(), and WriteIniFile(). Definition at line 3330 of file commctrl.h. Definition at line 3331 of file commctrl.h. Definition at line 3324 of file commctrl.h. Definition at line 3328 of file commctrl.h. Definition at line 3325 of file commctrl.h. Definition at line 3327 of file commctrl.h. Referenced by GetSelectedFilter(), BtrfsDeviceAdd::populate_device_tree(), TREEVIEW_DoSetItemT(), and TREEVIEW_GetItemT(). Definition at line 3318 of file commctrl.h. Referenced by FindDialogWndProc(), GetSelectedFilter(), InsertItem(), item_changed(), BtrfsDeviceAdd::populate_device_tree(), Tree_Item_Copy(), TREEVIEW_DoSetItemT(), TREEVIEW_GetItemT(), TREEVIEW_InsertItemT(), TreeView_SetBOOLCheck(), TREEVIEW_SetItemT(), and WriteIniFile(). Definition at line 3322 of file commctrl.h. Referenced by FindDialogWndProc(), InsertItem(), BtrfsDeviceAdd::populate_device_tree(), Tree_Item_Copy(), TREEVIEW_DoSetItemT(), TREEVIEW_GetItemT(), TREEVIEW_InsertItemT(), TreeView_SetBOOLCheck(), and WriteIniFile(). Definition at line 3320 of file commctrl.h. 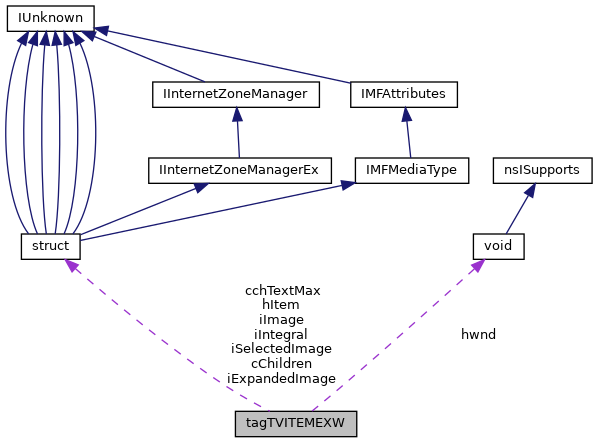 Referenced by BtrfsDeviceAdd::populate_device_tree(), Tree_Item_Copy(), TREEVIEW_DoSetItemT(), and TREEVIEW_GetItemT(). Definition at line 3321 of file commctrl.h. Referenced by item_changed(), BtrfsDeviceAdd::populate_device_tree(), Tree_Item_Copy(), TREEVIEW_DoSetItemT(), and TREEVIEW_SetItemT(). Definition at line 3329 of file commctrl.h.